Motorcycle riding by women is extremely rare in Southwest Nigeria, and almost non-existent in the north because of religious and social factors. 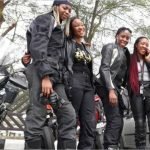 However, in the South and Southeast, Ukwuani women riding motorcycles is a more common sight – also among women in some parts of Delta State. Women travel from town to town covering several kilometers, using inner roads and expressways. Women are more often seen using the motorcycles for transporting goods for sale, farm produce and personal commuting. The use of motorcycles and motorcycling for public transport is still dominated by men. It is good to know however, that Nigeria’s federal road safety laws are not gender biased. 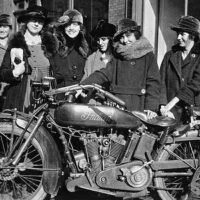 There are no rules restricting women from riding motorcycles.